Audi has revealed the next stage of their EV onslaught. The Audi Q4 e-tron concept is a compact four-door SUV and will form the basis of the fifth fully electric model to join the range by the close of the decade. The Q4 e-tron concept will be the first Audi to use Volkswagen Group’s new MEB platform, with two electric motors offer 225 kW of power, with the driving power of the concept brought to the road with quattro all-wheel drive. Thanks to excellent traction, it accelerates from zero to 62mph in just 6.3 seconds with its maximum speed electronically limited to 111mph. A large battery with a capacity of 82 kilowatt hours takes up almost the entire space in the underbody area between the axles, offering a range of over 279 miles. Audi promise this will set the benchmark in its class. 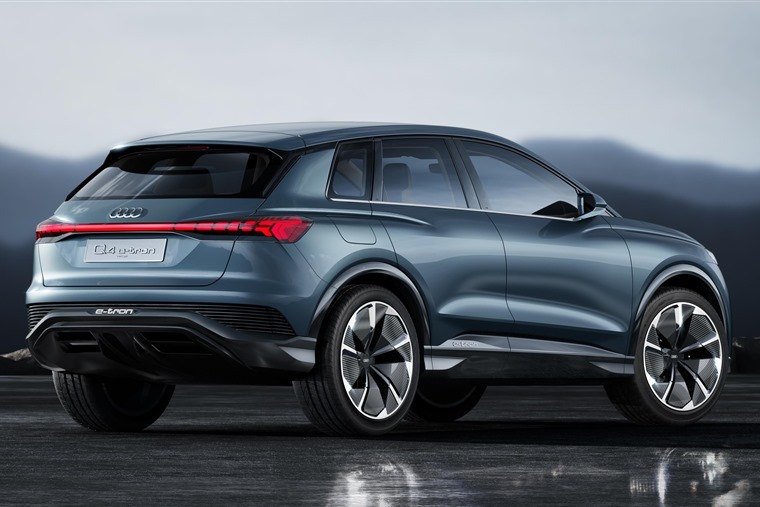 Slightly larger than the Audi Q3, it is 4.59 metres long, 1.90 metres wide, 1.61 metres high, Audi state the Q4 e-tron will be an an agile all-rounder. In terms of the interior, the Q4 e-tron concept offers unexpected spaciousness and comfort, especially in terms of legroom thanks to the lack of a transmission tunnel restricting space. In the middle above the centre console, there is a 12.3in touchscreen on which the infotainment and vehicle functions are displayed and operated. It is tilted toward the driver for greater ease of operation. 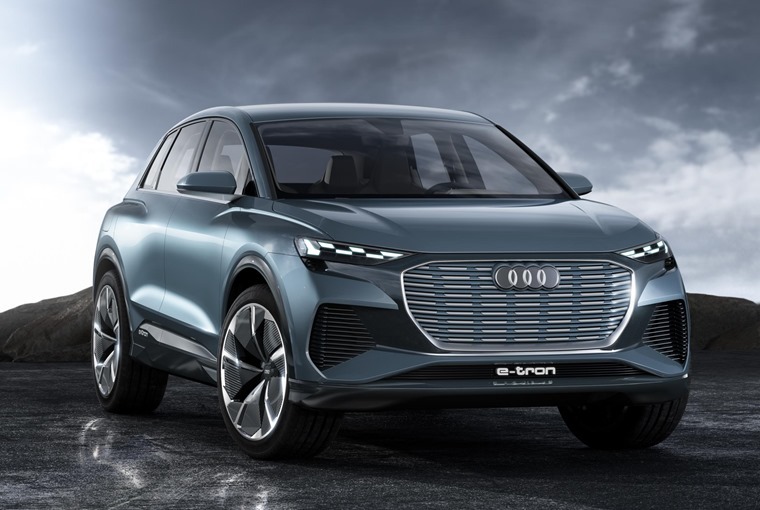 Like the new Audi e-tron, the Q4 concept also features a structured closed surface within a broad, almost upright octagonal frame in place of a traditional radiator grille. The grille is also also the same colour as the body to signify it no longer acts as engine cooling device. Instead, air is supplied via large inlets that extend from below the two matrix LED headlights all the way down to the front apron. The compact Audi Q4 e-tron is to make its production debut in the second half of 2020.